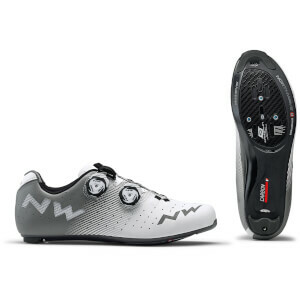 I really like these shoes and better yet PBK's pricing allows me to get that pro level equipment at a reasonable price. These shoes conform to my feet really well, I have pretty average dimensions, toe box is comfortable, insoles/footbeds feel great. 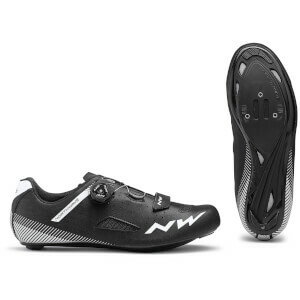 This is my second pair of Northwave's I've purchased recently. This shoes supply Good fit and nice look. Dial lock system is easy and cover skin can be tightened securely but keep slim shape. Satisfied many. But taking them off is not convenient. These are a really nice pair of shoes. 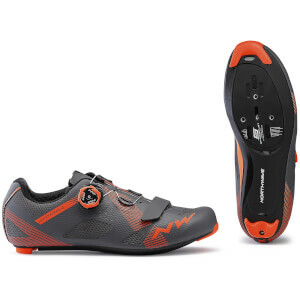 I have pairs of Shimano, Giro and Sidi shoes, and I rate these very highly. 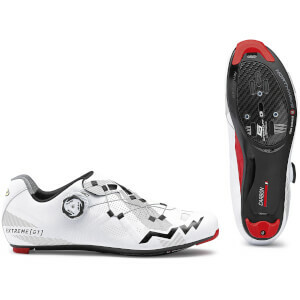 The fit is wider than the Giro's, but not as wide as the Shimano's. The heelcup is moderately high and firm, and the cat-tongue material, combined with the narrow heelcup width, leave you with little, if any, heel slip under heavy load. The 'Boa'-like dial is excellent and allows easy tightening and release both on and off the bike. The material is quite stiff and I'm waiting for it to soften a little, but I feel anything would feel stiff against the suppleness of the Empire SLX. Overall, nice shoes, and awesome value for money.